CLEVELAND, January 3, 2017 - The Lubrizol Corporation announces today that Eric R. Schnur assumes the chairman, president and chief executive officer roles effective January 2, 2017. Schnur succeeds James L. Hambrick, previously chairman and chief executive officer, who completes a career spanning more than 38 years at Lubrizol. This planned management transition was announced in mid-2016. 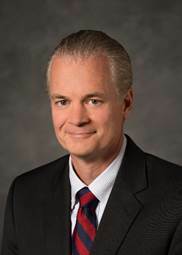 Schnur, who has been with the company more than 27 years, was named Lubrizol's president and chief operating officer on June 1, 2016, having previously served as president of the Lubrizol Advanced Materials business segment for eight years. He joined the company as an engineer in research and development, and progressed through a variety of technical and commercial positions in the Lubrizol Additives and Lubrizol Advanced Materials business segments. Schnur also worked at several domestic and global company facilities, including the Lubrizol Additives site in Singapore, where he led Engine Oils marketing and technical services for Southeast Asia and Australia. He earned his Bachelor of Science degree in chemical engineering from Pennsylvania State University and his MBA from Case Western Reserve University. Schnur comments, "It is a great honor to have this opportunity. I want to thank James for all he has done for Lubrizol and for the strong foundation he has left upon which we can build and continue to grow the company. All of us at Lubrizol remain focused on delivering valuable specialty chemical solutions to meet our customers' needs in the transportation, industrial and consumer markets." During the past 14 years, Hambrick led the transformation of Lubrizol into a leading specialty chemical company. He expanded the company's portfolio through numerous strategic acquisitions, the most significant being Noveon International, Inc. in 2004. Hambrick also effectively strengthened the company's financial position, enabling it to pursue its growth objectives and reinvest in the business to better serve global customers. Lubrizol's 2011 acquisition by Berkshire Hathaway was further validation of the company's strength and financial performance. The Lubrizol Corporation, a Berkshire Hathaway company, is a market-driven global technology company that combines complex, specialty chemicals to optimize the quality, performance and value of customers' products while reducing their environmental impact. It produces and supplies technologies to customers in the global transportation, industrial and consumer markets. These technologies include lubricant additives for engine oils, driveline and other transportation-related fluids, industrial lubricants, as well as additives for gasoline and diesel fuel. In addition, Lubrizol makes ingredients and additives for home care and personal care products and specialty materials encompassing polymer and coatings technologies, along with polymer-based pharmaceutical and medical device solutions. Our products for the oilfield market include technologies for exploration, production and transportation. With headquarters in Wickliffe, Ohio, Lubrizol owns and operates manufacturing facilities in 17 countries, as well as sales and technical offices around the world. Founded in 1928, Lubrizol has approximately 8,800 employees worldwide. Revenues for 2015 were $7 billion. For more information, visit Lubrizol.com.